يشكل Alexandra Park Motor Inn بموقعه الممتاز في المدينة نقطة انطلاق جيدة لاستكشاف أفضل ما فيها من معالم ومناطق نابضة بالحياة. إن موقع الفندق الاستراتيجي، الذي يبعد 0.8 Km فقط عن مركز المدينة، يسمح للنزلاء بالوصول سريعاً وبسهولة إلى العديد من الوجهات المحلية المثيرة. يوفر الفندق بفضل موقعة الجيد وصولاً سهلاً إلى أهم معالم المدينة.
. إن الخدمات الممتازة وحسن الضيافة العالي في Alexandra Park Motor Inn تجعل إقامتك تجربة لا تنسى. يمكن الاستمتاع بمجموعة من الخدمات على أعلى المستويات في الفندق كمثل واي فاي مجاني في جميع الغرف, واي فاي في المناطق العامة, صف السيارات, خدمة الغرف, التوصيل من وإلى المطار. تتضمن كل غرف النزلاء وسائل الراحة والتسلية المصممة خصيصاً لضمان الراحة القصوى للضيوف. يقدم الفندق مجموعة رائعة من الخدمات كمثل حمام سباحة خارجي، لجعل إقامتك تجربة لا تنسى. 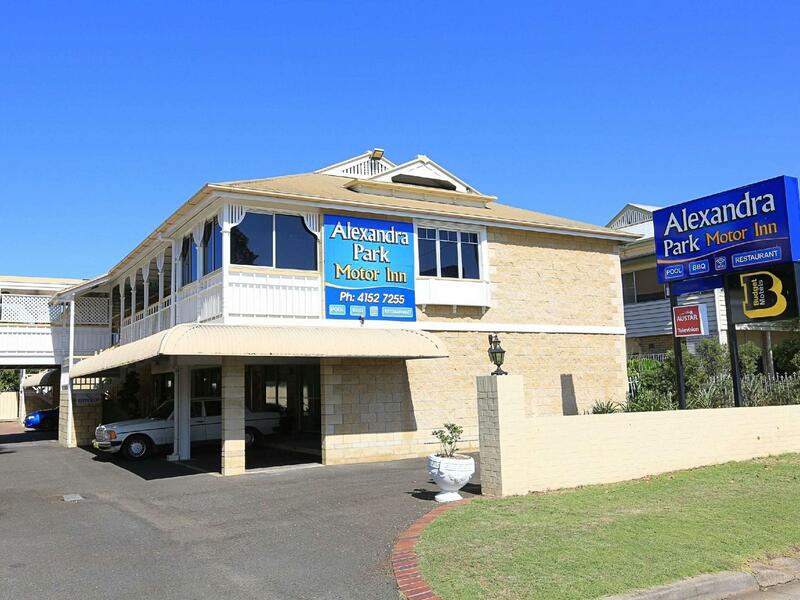 يشكل Alexandra Park Motor Inn بخدماته الراقية وموقعه الممتاز، قاعدة مثالية للاستمتاع بإقامتك في المدينة. يغلق مكتب الاستقبال في الساعة 6:00 مساءً في أيام السبت والأحد. Informed staff that we had a broken lock to the entrance of our room and couldn't look our room. We had to go on an excursion and were told that it would be fixed by the time we go back. Was not fixed. The place was clean, comfortable and fresh smelling. The staff were friendly. Thanks for the 10/10 review, we think we have a great place to stay too. 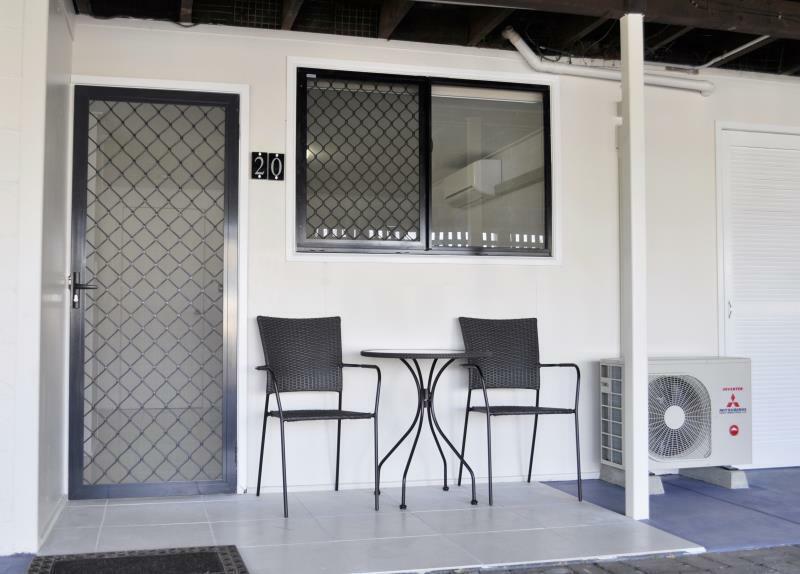 Nicely appointed, quiet comfortable rooms, and situated in a good central location. Parking at the front of the room was a bit tight making it minimally difficult to get out of with our SUV, but not impossible, and there are other more "open" spots if you dont mind a small walk to the room. Would return and highly recommend. 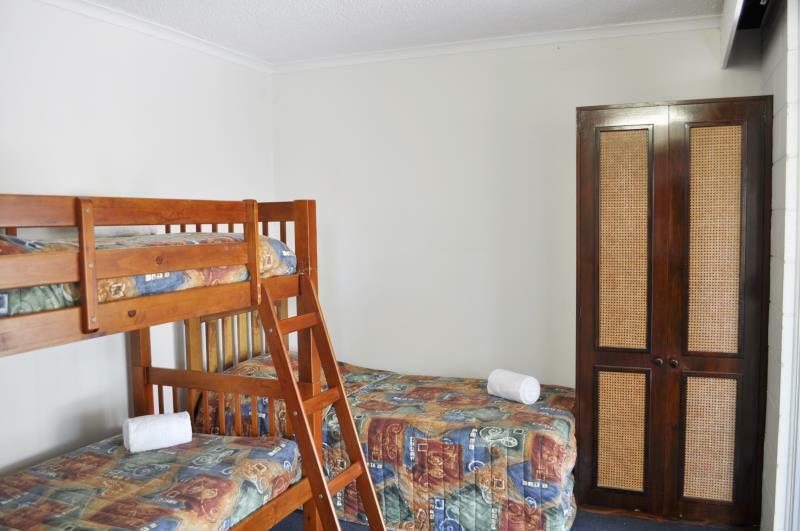 This motel was clean, comfortable and convenient for a 2-3 night stopover in Bundaberg while on a Gt Barrier Reef trip. 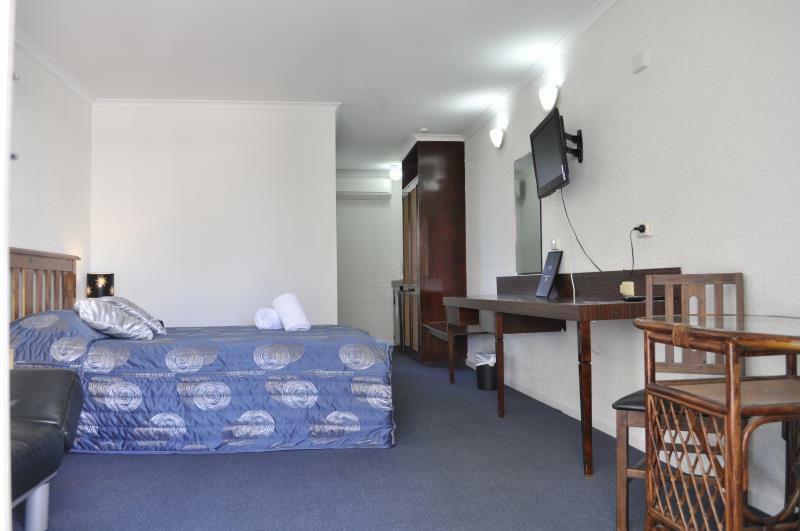 It has good facilities; microwave, kettle, toaster, fridge, wifi, free parking. The only thing you gave to remember us that it is not a hotel and check in is only available usually until 6pm. Thus can be extended to 8pm by giving prior notification. The female Receptionist, upon arrival, was quite rude and very unwilling to assist me! I was in town for a close family members funeral, and her attitude did not help my grieving! 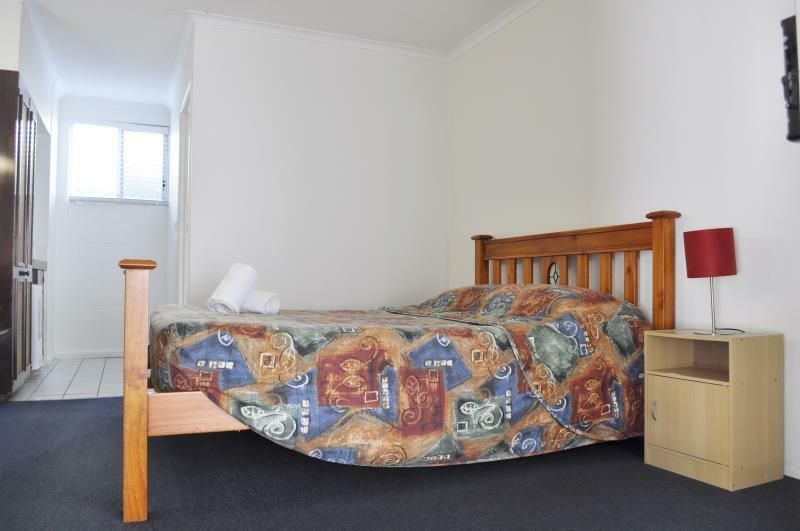 Walking distance to town centre , food and hospitals. 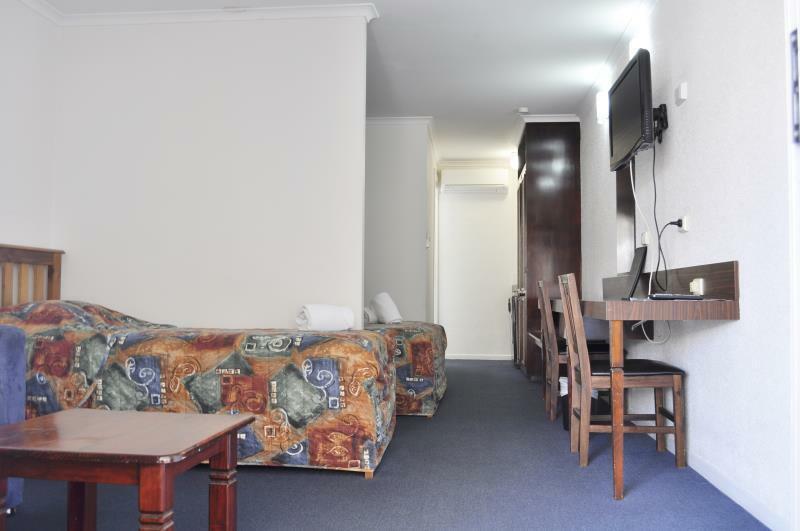 Walking distance to railway station. Alexandra Park across road, complete with small zoo and plenty of play equipment for children. Very close to several food venues; can take back to hotel and eat near pool or on deck. Pool is good setup for little people with several steps. Staff very helpful. Upon arriving after a 5 hour journey, we expected to be greeted by a welcoming host. Instead when I uttered "Hello Darl", I got a scolding look of disapproval. Followed by ' what can only be described as a lecture on being too informal". Then she went on to say she was surprised that no one had decked me for using a term of endearment. You do not expect someone in the service industry to behave in this manner and have a rude and condescending attitude towards paying motel guests. Perhaps she would have happier if I had called her 'mate'. Beware! Good sized room with kitchen area and bathroom. Fabulous hot and powerful shower. Great swiming pool with gazebo area and barbecue. All in excellent location with very pleasant, helpful staff. To be reccommended! Was a great cheap place to stay NYE while traveling through. Nice and close to walk down to see the fireworks. Everything clean, and a nice quiet aircon!! Was only to happy to refer friends here room tidy and clean facilities clean. Heard fighting between staff the night we checked in RECEPTION RUDE 5 STAR not helpful with anything more concerned about the other guest at 6.30 at night .... Manners of a hyena. said thank you for a wonderful stay to be grunted to like a pig commenting nothing but an evil look. Motel is fantastic for the price.. but what price do you put on this NASTY woman who is greeting your guest??? Very clean. Cheap hotel not luxurious but safe and parking off street. Comp. tea coffee milk was nice. Clean bathroom. Fresh towels. This property is in a great location for travelers if they don't have a vehicle. The downside though was the road traffic makes it a bit noisy. Handy to train station and various places in walking distance to obtain a meal. Room was spacious and clean. Was close to Private hospital which I needed to be at early, and other amenities. Good clean and comfortable. Would be better if they did breakfasts.